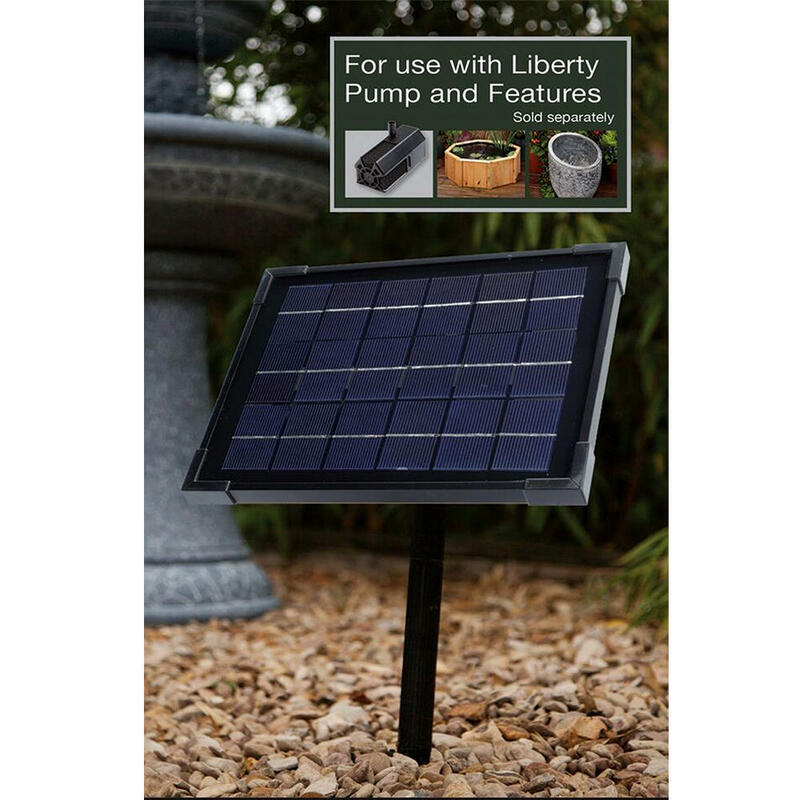 The Blagdon Liberty 5w Solar Panel provides a mains free 'run and recharge' upgrade for your Liberty Water Features which not only powers your water feature, but charges the battery in the meantime as well. 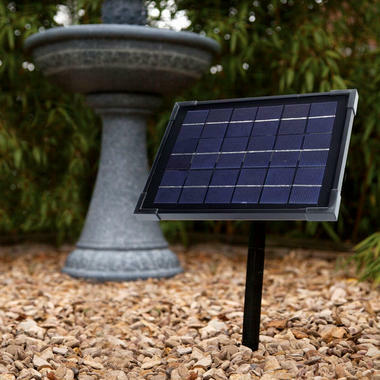 With a 16ft cable, wall mounting bracket and ground spike, the Blagdon Liberty 5w Solar Panel can be placed perfectly in any position around the garden, and is a highly efficient eco friendly alternative for powering your water feature. For use with Blagdon Liberty Features (sold separately).